For this card, I watercolored some yellows and greens (Kuretake) on a piece of Canson watercolor paper, and let it dry. Then, I die cut lots of flowers and leaves (small ones for a later project). I decided on a square card. The die cuts were placed around a silver sentiment on sky cardstock, sprinkled with a few sequins, and mounted on a green layer. Supplies: Stamp – Stampin’ Up!, paper – Canson watercolor, Neenah Classic Crest Solar White, Stampin’ Up! 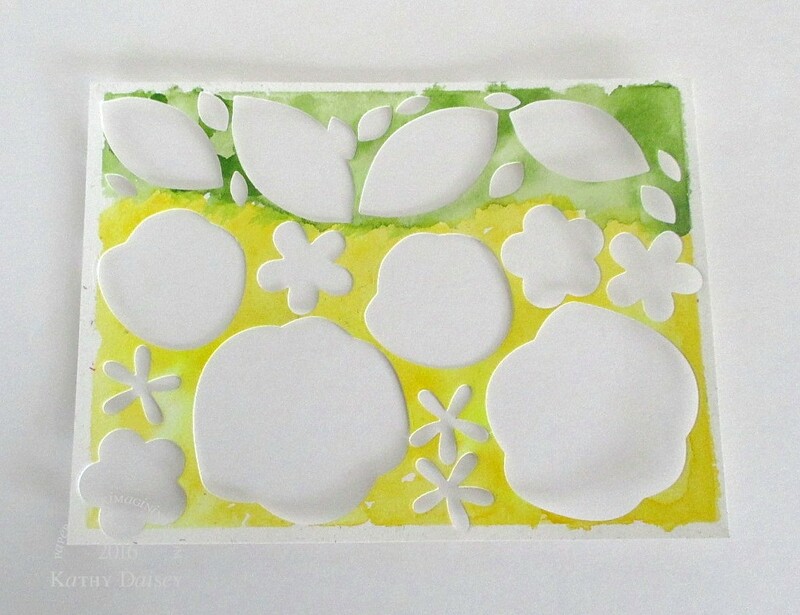 Soft Sky, Wild Wasabi, ink – VersaMark, dies – Essentials by Ellen, watercolors – Kuretake Gansai Tambi, sequins – Darice, Doodlebug Designs Inc, embossing powder – Stampin’ Up! Sterling Silver. 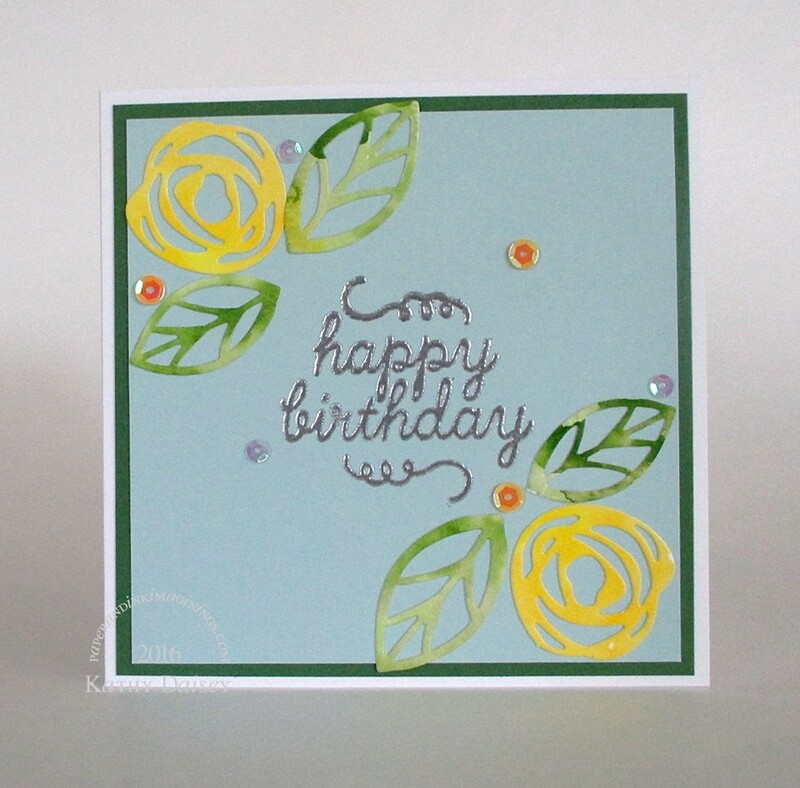 Categories: birthday, card | Tags: Canson, card, Doodlebug Design Inc, Essentials by Ellen, Kuretake, Neenah, Stampin' Up!, Tsukineko, VersaMark | Permalink. I really like this. Is it available? This was mailed to my mother in law…I can remake. I will e-mail you.